When a two day-old Hawaiian monk seal pup is attacked and abandoned by his mother on a beach in Kauai, environmental officials must decide if they should save the newborn animal or allow nature to take its course. 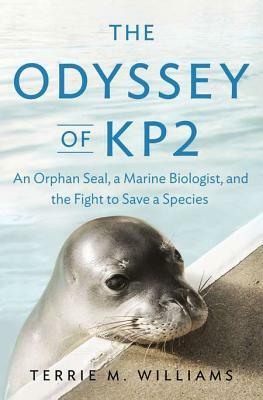 But as a member of the most endangered marine mammal species in U.S. waters, Kauai Pup 2, or KP2, is too precious to lose, and he embarks on an odyssey that will take him across an ocean to the only qualified caretaker to accept the job, eminent wildlife biologist Dr. Terrie M. Williams. The local islanders see KP2 as an honored member of their community, but government agents and scientists must consider the important role he could play in gathering knowledge and data about this critically endangered and rare species. Only 1,100 Hawaiian monk seals survive in the wild; if their decline continues without intervention, they face certain extinction within fifty years. In a controversial decision, environmental officials send KP2 to Williams's marine mammal lab in Santa Cruz, California, where she and her team monitor his failing eyesight and gather crucial data that could help save KP2's species. But while this young seal is the subject of a complex environmental struggle and intense media scrutiny, KP2 is also a boisterous and affectionate animal who changes the lives of the humans who know and care for him-especially that of Williams. Even as she unravels the secret biology of monk seals by studying his behavior and training him, Williams finds a kindred spirit in his loving nature and resilient strength. Their story captures the universal bond between humans and animals and emphasizes the ways we help and rely upon one another. The health of the world's oceans and the survival of people and creatures alike depend on this ancient connection. "The Odyssey of KP2" is an inside look at the life of a scientist and the role that her research plays in the development of conservation efforts, bringing our contemporary environmental landscape to life. It is also the heartwarming portrait of a Hawaiian monk seal whose unforgettable personality never falters, even as his fate hangs in the balance. Terrie M. Williams, Ph.D., is the director of the Marine Mammal Physiology Program at the University of California, Santa Cruz, and a co- creator of the Center of Ocean Health. A wildlife biologist, Williams investigates how large animals, from elephants to killer whales, survive on our changing planet. She was named one of the 50 Most Important Women in Science by "Discover" magazine.